In Modern Arnis: The Filipino Art of Stick Fighting, Remy Presas covers a variety of preparatory stretches and warm-up exercises, the 12-zone striking and defense systems, hand-to-hand combat ("trapping hands"), flow-practice drills, sinawali and redonda. In this 160-page, fully illustrated text, Presas simplifies some of his teachings in order to give novices a tangible amount of self-defense skill through specific drills. For example, the sinawali is taught without sticks, in empty-hand fashion, to illustrate how its weaving motions can be easily translated into empty-hand movements for blocking, punching and takedowns. He discusses the 12 important angles of attacks on the human body, 12 basic ways of dealing with each angle plus stick and sword disarming techniques. An excellent basic guide to using the Arnis Sticks by a true master of the art. I have been fortunate to have attended several Modern Arnis seminars with the late Remy Presas.He was a man of extraordinary skill. 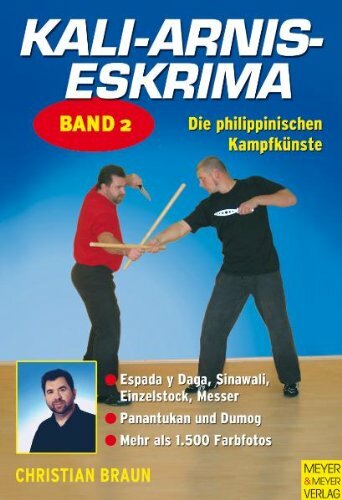 I had taken some Filipino stick and knife fighting lessons in the past from some other Filipino experts, and Mr. Presas's book helped to clarify the skills I learned with a hands-on instructor.This volume explains the basic principles and techniques of using the Arnis Stick in a wide variety of ways.In conclusion, this book used in combination with hands-on training with an Arnis instructor is the key to mastering this art, Rating: 4 Stars.Joseph J. Truncale (Author: Hanbo-Jutsu Official Course Manual Bushi Satori Ryu, Yawara Stick Techniques, Univ. of IL Press, PR-24 Police Baton Techniques: Basic and Advanced Techniques, Univ. of IL Press, PR-24 Police Baton Advanced Techniques). "Modern Arnis", by Remy Presas, presents compact flowing Arnis in a compact flowing book. It has very clear photos and prose -- precisely ordered on macro and micro scales -- from over-all patterns to small details -- from chapter to chapter. The angles of the moves, for each move-set, are some of the best I have seen of any defense/combative art. If, the essence of defense is to turn opposition [of opponents] away, down and out -- removing foes'-balance while keeping self-balance -- until"check-mate". Then, "Modern Arnis" shows how to do this -- in a streamlined way. Many move-sets end with the foe in check -- yet the final position [and the foe] could be easily extended in various directions. So, Remy Presas shuts-down foes' options while keeping his options open. I first learned a little Modern Arnis as part of an [informal] Kenpo Jiu-Jitsu off-shoot of Kosho-Ryu Kempo. My own small and casual Kenpo off-shoot of that lineage, like many others out of Hawaii, adds bits of other Arts with Kenpo. Core Kenpo Jiu-Jitsu inspired by -- a little Tibetan White Crane, Isshinryu Karate and Jiu Jitsu Complete and some Medieval Fencing, Savate and Boxinginto "anti-grappling". We seem to search for ways to combine these aspects in a smooth, compact, and effective way. Having trained in Filipino Kali many years ago I was looking for a book that could re-introduce me to this martial art. Although this book covers more then just stick fighting, I found this book to be a fine introduction to stick fighting essentials. The book does not get too intricate or technical, which I think is a good thing in any martial art book since the effectiveness of the more complex movements is founded upon the mastery of the simple basics. Also, in a real world situation it is always best to stick with the fundamentals. So one must master the basics first and Presas shows his mastery of this superb Filipino martial art (Arnis) with his ability to bring it up to date in a system he founded called Modern Arnis (which as I understand it is pretty much a combination of Shotokan karate, Filipino stick fighting (Kali) and judo). The book gives excellent basic instruction and begins with preparatory warm up and stretching exercises, then goes into the proper way to hold the baton. It further goes into basic stances, striking zones, sticking defenses, basic hand to hand combat, flow patterns and weaving usingeither sticks or empty hands, stick disarming techniques, and then ends with sword disarming techniques using sticks. As I said I liked the book because it stuck with the no nonsense basics and in my opinion that's the first thing that must be mastered in any martial art. Contains all the basics you need to start learning the art. This is a good introduction to the system. It is unfortunate that master martial artists have not worked with professional writers to produce detailed volumes chronicling their systems. This, like most works of its kind- leaves the advanced student wishing MORE had been written. The book will be informative to the beginner of Modern Arnis and a source of fond nostalgia for advanced students who know that this great man taught us all so much MORE than the pages of this book contain. 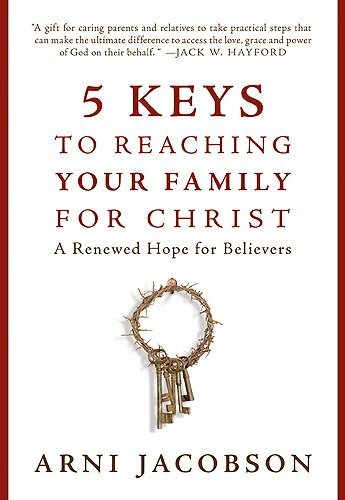 In these five simple keys, believers will be able to reach their family for Christ. Known for his book and teachings The Favor Factor, author and speaker Arni Jacobson brings a simple plan for those who have wanted to know what they can do for their unbelieving family members, but did not know how to approach the question. He shows that through prayer and standing strong against Satan, even though believers can expect a family uproar, they can still create an environment of worship and believe in the depths of their hearts that they will see changes and miracles happen in the lives of loved ones. I had had an issue in my relationship with my wife for a long time.Normally I would go to bed upset and get up angry.On this particular night I decided to read from the 5 Keys by Arni Jacobson.I read one of the keys and it made sense.I went to bed with a better understanding of what Jesus wanted from me in that situation.I woke happy and rested.Whenever I need support and positive reinforcement I jump back in to the 5 Keys.It is a very solid, rewarding book. Practical, easy to follow advice for leading loved ones to salvation. Great read -- a 'must-have' for people with unsaved family members! 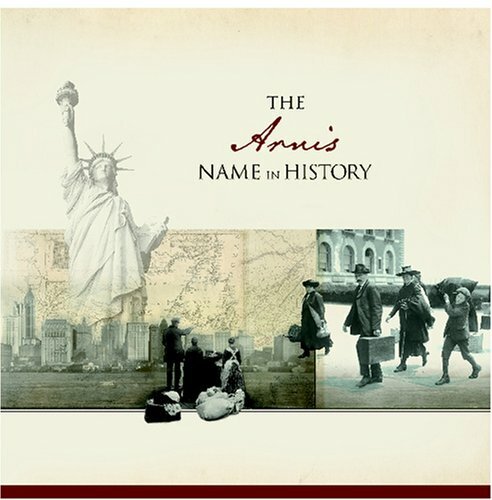 The book features a twofold, interrelated focus. First, it looks at the unique Filipino culture; how it was greatly influenced by Spanish colonization, the oppression it suffered under foreign rule, and how the native yearning for freedom led to the development of the martial art of arnis. The book then presents the distinct technical aspects and resultant physical manifestation of the indigenous fighting art. Centering upon the Kombatan method forged by Grandmaster Ernesto Amador Presas Sr., it describes numerous maneuvers utilizing stick, blade, and empty hand components, and offers information on their myriad practical applications. 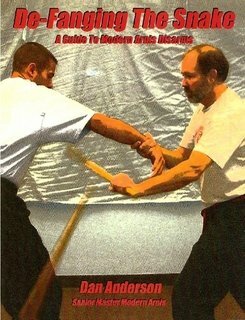 I was hoping that this book would be a change from most of the Arnis/Escrima/Kali books that have multiplied over the last couple of decades, but no, there really isn't anything unique here. Everything here is covered in just about any FMA book out. This is NOT a bad book at all. It's just not something that is going to further anything for anyone with a knowledge of solo baston style fighting. The angles of attack and defense are there, grip, some defensive techniques, etc. The author puts a little bit of empty hand techniques in which I liked. He mentions other styles, including dulo dulo, which involves two small palm sticks with both ends pointed and it would have been nice to show just a little more.If you are looking for a book that is easy to follow, has solid fundamentals,and has a strong focus on single stick skill, this might be what you want. If you have these skills (or a book that details intermediate to advanced skills) skip it. This is a fine book with a load of history on the FMA. I believe it has given me some bits and pieces that I had not got any ware else (in type,or video)This book "is" worth the cost. Knowledge is one thing (being able to use it is another). Semper Fi. Mike Tabor (PKS) Charlotte, MI. Discover the secrets of Placido Yambao's legacy. For nearly half a century, the work of Placido Yambao has intrigued Filipino Martial Arts (FMA) aficionados all over the world. Yambao's manuscript, "Mga Karunungan sa Larong Arnis", was the first widely released documentation of a popular, and at the same time, esoteric art. Written in archaic Tagalog, Placido Yambao's book remained an obscure resource understood and appreciated by only a select few. this book is a piece of history. a living manual translated and made contemporary yet unadulterrated.the original and modern versions of this book is relevant today as yesterday concerning blade combatives. outstanding. Pathetic,pity I`m so far of in South Africa I wish I could send this book back for a full refund??? This is another excellent book by Rey Galang. I also received it in two business days. This is a must for any afficianado of the FMA (filipino martial arts). Just like his other books, Mr. Galang does a great job writing about and showing the techniques. This book is mainly about espada y daga, however, it also touches upon sinawali. 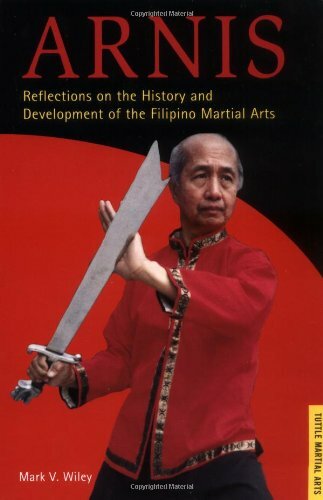 I highly recommend this book (along with his others-Masters of the Blade, Warrior Arts of the Phillipines, and Complete Sinawali)to anyone wanting to learn more about eskrima, arnis, kali. One can use this book as a reference or actually use and practice the techniques shown. I really didn't understand what I was buying when i ordered this book....but I'm so glad I did. 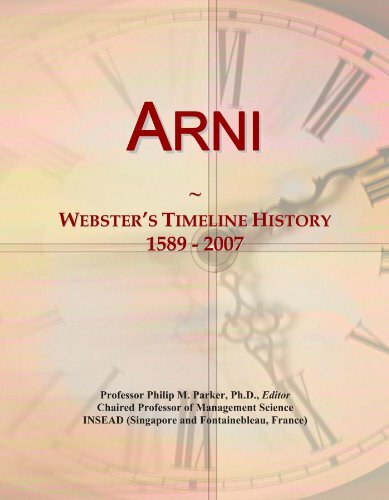 This is the first written record of Arnis in the philippines, that can only be found in the Philippine national archives; originally in archaeic Tagalog that modern Filipinos can't understand. Rey Galang just brought all this wonderful mystery to the modern world. Believe there are no sticks here..this is all blade, all the time! Now I can really see what the old folks were talking about! The best part is the Classic Espada y Daga...not stick and knife. Sword and Dagger! Been looking arond for a real good book on Espada y daga this is it! Plus the extra Sinawali techniques...thank you Rey Galang I will be waiting for your next book...please don't stop writing. Über Mark Wileys Buch muss ich nicht viele Worte verlieren. Es ist gut und fachkundig geschrieben. Wer sich mit dieser Materie befasst, dem sei das Werk ans Herz gelegt. There is so much information that I read this book in a week.The other reviews of this book are correct.What I came away with this book is that Filipino martial arts(FMA)is hardly in danger of extinction although it is probably practiced by not a great number of people.It came as a surprise to me that some universities in the Philippines have FMA in their curriculum.There are gems in this book, for instance it identifies the earliest published book in the subject which is a tract entitled "Mga Karunungan sa Larung Arnis" roughly translated means "A Body of Knowledge in the Game of Arnis", it was written sometime in the 1950s.A book like this is appropriate for discussing FMA.A how-to book would not be instructive by the very fact that mere pictures cannot encapsulate the essence of the various movements.In early book on the subject Danny Inosanto wrote about it, in his book the most useful parts are the stories of the Grandmasters and history of FMA, and not the instruction with pictures.FMA can only be learned through corporal instruction, that is because FMA is a social martial art.That means that you are only as good as the people you are around you, that includes practitioners who you can steal knowledge from. I do have some misgivings about this book and that is when they discuss FMA in the United States, they only focus on California, particularly Stockton.They leave out the vibrant FMA community in Hawaii, which is very much a Mecca as Stockton is.They even cover the distant FMA communities in Europe and ignore Hawaii where many grandmasters reside. Be advised there are no pictures in this book, it is an academic undertaking.If you are looking for something with visual historical material in it, try the two books authored by Mark Wiley: "Filipino Martial Culture" and "Filipino Fighting Arts: Theory and Practice". The placment of Mark Wiley's name on the front cover suggests he is the AUTHOR, where he is in fact, the EDITOR of this collection of articles (he is also a contributor).Not Wiley's fault--he credits the collective group in the introduction.Small point that only matters to us fans of footnotes, I know...now, on to assessing this collection of articles! In Part 1, writers offer perspectives on the origins of the Filipino arts, including five articles such as "A Question of origins", by Felipe Jocano, Jr., and "Questioning the Origins of Escrima", by Dr. Ned Nepangue, etc..Part 2 focuses on Historical Perspectives with five offerings like "A History of Eskrima in Cebu and Negros", by Krishna Godhania.Part 3, Cultural Perspectives, includes eight articles by different contributors, including "Passion from the Crescent Moon" by Marilitz Dizon, and "The Making of the Batangas (Balisong) Knife" by Dr. Jopet Laraya.Part 4, Facing The Future, includes three articles including Combative vs. Competitive Escrima by Krishna Godhania, and "The Implimentation of Arnis in the Physical Education programs of Tertiary Schools in Cebu City" by Abner G. Pasa. Overall, this is a good collection of topics of a calibre more advanced than most newsstand martial arts magazines could tolerate.The tone is clearly academic in nature, although less than half of the article include notes of some sort at their conclusion.Wiley does include a well-rounded list of source materials for further reading.If you are tired of how-to manuals, here is a book which will present new information, even for those of us who have pretty well "been around the block" when it comes to learning about other cultures and practice.The variety of perspectives are insightful. Well worth a read for FMA practioners. Be aware, the "editiorial comments" above do not accurately reflect the content of this book; I suspect they are based on another of Mark Wiley's books. There are no pictures in this book. This book is actually a collection of articles about various aspects of the history and development of FMA. Some of them are new and some have been taken from the pages of Rapid Journal (published in the Phillipines). Some of the articles are written by well known people on the FMA such as: Tony Somers, Krishna Godhania and Mark Wiley, other names are new to me. As the title suggests, the articles are about the history of the arts, not the technical side and as such this volume fills a gap in the reading of most practioners. On the down side, some of the articles are very thin; it hardly seems worth while to have bothered with the item on the history of FMA in Europe. (This is a real contrast to some of the others). I enjoyed the book, but was left wanting more. 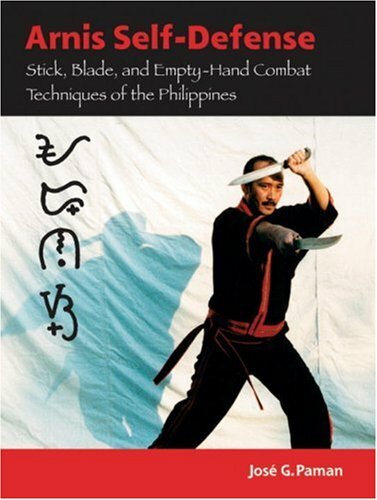 Grandmaster Leo Giron is one of a handful of key figures in the history of Filipino Martial Arts in America and this book preserves a snapshot of his teaching style and philosophy along with a visual record of how Giron himself performed fundamental techniques in his system. You will not learn Giron Arnis Escrima from this book alone, but I've found dozens of little bits of information in here that supplement the training I receive in my FMA class. This book is most valuable to the student or interested observer who wants to find out more about how a Master's philosophy of life colors his martial arts practice. This is bare-bones information -- less about 'secrets' as things that the master tries to hide from the public and more about 'secrets' that are subtle elements of the art that one only gets from observing someone who has achieved Giron's level of quiet competence in any situation. It's also one of the only records we have of this grandmaster's method and emphasis in his practice studio that was done while Leo Giron was still alive and teaching. It captures something that would otherwise be lost as his teaching is passed on and evolves from teacher to student. Somera is a competent and functional writer and the book is laid out in a logical manner. The photos don't show all that is going on in the techniques, but they do capture the most critical elements and are enough for a student to piece the techniques together with just a bit of qualified training and a patient and willing training partner. If you are interested in an engagingly written history of FMA in general then you would probably do better with one of Mark Wiley's books like Filipino Martial Culture (Martial Culture Series). If you are more interested in Leo Giron's life and how his combat experience in the Philipines during WWII helped to shape his art or details about the birth of American FMA in Stockton, CA during the '60s then you would be more interested in Somera's other book Giron Escrima: Memories of a Bladed Warrior, which covers Giron's life story in more depth and also talks about the cultural environment that led people like Giron and Cabales and LaCoste to open their schools. But none of these books offer a no-nonsense record of Giron's legacy of instruction the way that this book does. This book told a lot about the background and philosophy, but didn't offer a lot of instruction. It was also hard to read and understand. I really liked this book. I know it was not as deep in technique and theory as many would have liked, but for the price it is a great introduction.I would like to see a more in-depth version, akin to Jun Fan/Jeet Kune Do the text book, or something as nice as either of the new Gracie Books.I am still waiting for the Filipino book that gives real grasp to the newbie, but still has a lot for the experienced player. In short I am looking for some thing with the thought and grace of Brazilian Jiu-Jitsu Theory and PRactice, or Brazilian Jiu-Jitsu Self-Defense, or maybe a book as comprehensive in its coverage as is Simco's Brazilian Jiu-Jitsu: The Master Text. Never the less it is still good to see old Giron, moving around and swinging a stick. I`ve bougth this book in order to support my own escrima training. 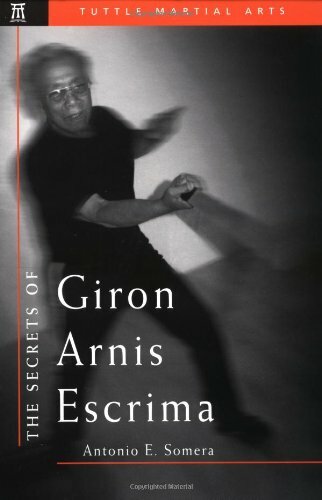 As a rookie in escrima, it gives you the basic understandings in the escrima-fighting art of Grand Master Leo Giron. I think it`s not written with the intention to replace training under a qualified teacher. In my view it supports your training as a beginner in the art. What's more, it gives you a good overview including the origins. Escrima has to be practised to be learned. 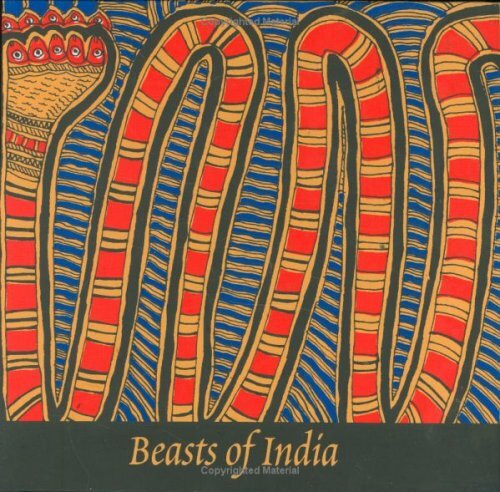 Beasts of India takes a lens to the beast as it is imagined and rendered in folk and tribal art traditions across India. The fine art of the original drawings has been recreated through silk-screening each image by hand. Featuring over 30 original pieces, this astonishing bestiary is a book and art collector's dream. An index of artists' names and succinct descriptions of the art conventions make it a compact and lively introduction to the unheeded genres of Indian art. "What is one to make of the mode of creation that is not concerned with the uniqueness of the art object or the artists vision? It takes its `aesthetic' status for granted, is not anxious about straddling different disciplines, about influence or imitation, and is very matter-of fact about its powers to suspend disbelief. And yet these vibrant images with an indefinably unique quality must be called art, and remarkable art at that." The second part is the pictures of Indian animals. What I liked is the way the pictures are organized. Tigers in Rajasthan's Pithora, MP's Gond, Bihar's Madhubani, Orissa's Patachitra and Jharkhand's Sohrai. Followed by the Lion, how the majestic animal is represented in different the regions, so on an so forth. It is easy to flip the book and compare the different styles. It is easy to draw conclusions. Even for a five year old it is obvious that the Gond is more intricate and detailed than the Pithora. A three year old can make observations that the Madhubani is partial to primary colors. Yes, I read it with my five year old and three year old and it appealed to them as well. I first came across this book in Pondicherry, India at a hotel--I was just floored with the marvelous drawings, like paintings, really, and the great paper and binding. And, you learn from the book about animals that are important in India history and mythology. I think many of the pictures would be marvelous just framed.I am not a child and would certainly put them in my library! 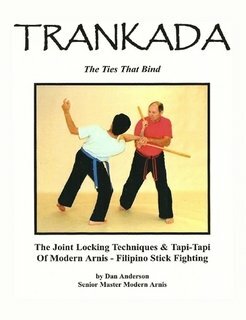 Trankada: The Ties That Bind - The Joint Locking Techniques & Tapi-Tapi Of Mdoern Arnis is the fourth book in the ""Modern Arnis encyclopedia"" series and is the first book to be written solely on the locking and binding techniques of Modern Arnis. 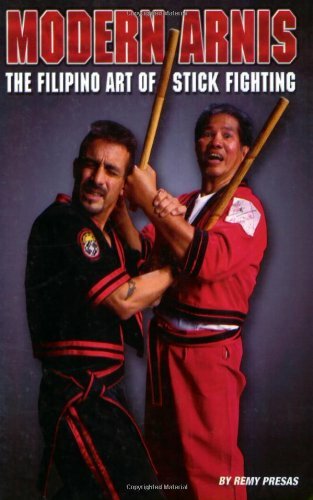 No other book has addressed so thoroughly the last major development of Grand Master Remy Presas prior to his passing; the Tapi-Tapi.With over 180 pages and more than 1,400 photographs, this book covers topics such as: joint locing using the cane, empty hand, and even the legs; pinning your opponent, Small Circle Jiu Jitsu exercises; the template for the Tapi-Tapi techniques as well as the counters against Tapi-Tapi.This book will answer any question you ever had about joint locking! De-Fanging The Snake breaks down over 80 disarming techniques using the single stick, double stick, stick & dagger and empty hand.With neary 200 pages and over 800 photos, this is the most comprehensive manual ever written on the subject.Included in this volume is a complete description of Modern Arnis basics as well as a detailed history of this fascinating art of self defense. Mano Y Mano is the third book in the ""Modern Arnis encyclopedia"" series and is the first book to ever be written on the translations of Modern Arnis stick actions to empty hand.With over 200 pages and 1,200 photos, this book covers such topics as :basic offensive and defensive moves with their stick fighting origins, empty hand drills, throwing, disarming as well as the first published delineation of all 8 empty hand anyos (forms) and their breakdown applications. 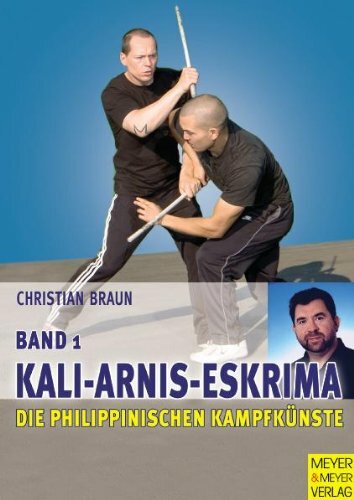 Grandmaster Bram Frank:""This book fills in the gaps of his other books on Modern Arnis and the martial arts!If you ever wondered how Modern Arnis or Filipino martial arts translates into empty hand, well this is the book for you."" Very few books have been written about Arnis, and no serious work on the subject had delved deep into the mystical past of the fighting system which had evolved from so many parts of the Philippine archipelago.